Have you ever noticed how annoying squeaky toys can be? If not, then you were probably like me. I have a dog who will chew for less than a minute on almost any toy and it’s popped or destroyed. I went in for some teacher technology training today so when I got home I decided to give Oreo a new toy. 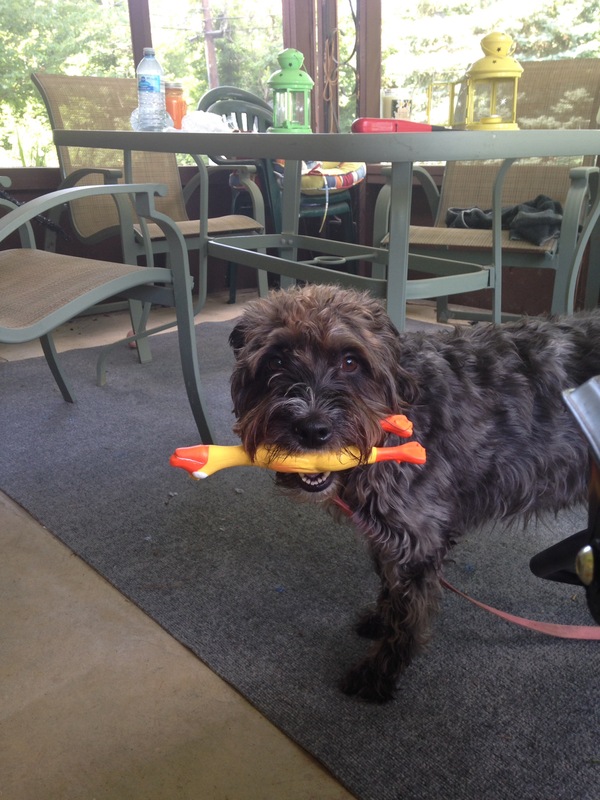 This rubber chicken is really holding up…except the squeaky noise is really annoying! 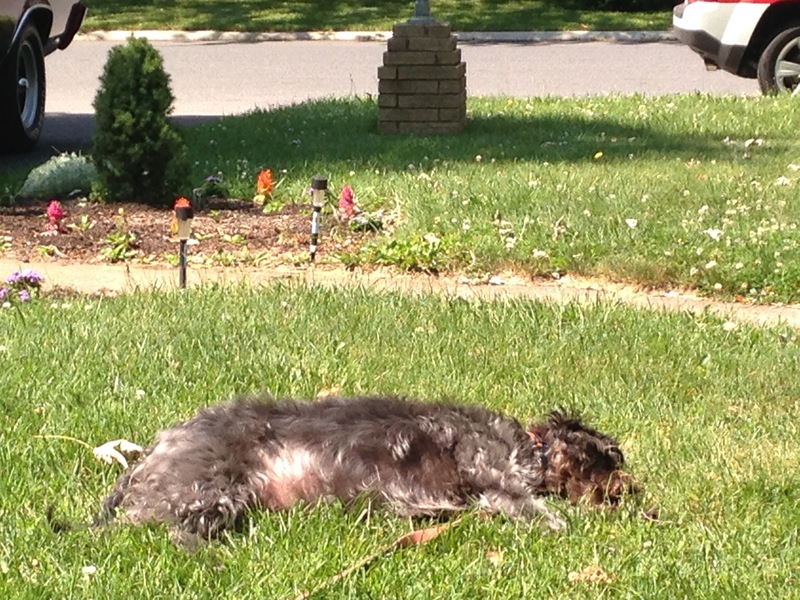 No, my dog is not injured.This is Oreo relaxing in the sun. RELAXING. That’s a hard thing for reactive dogs to do. Many reactive dogs have lots of anxiety and find it hard to relax, especially in places where there are lots of stimulus. This picture was taken in our front yard. Across from us (but not pictured), are 2 dogs and 2 people outside in the yard across the street. 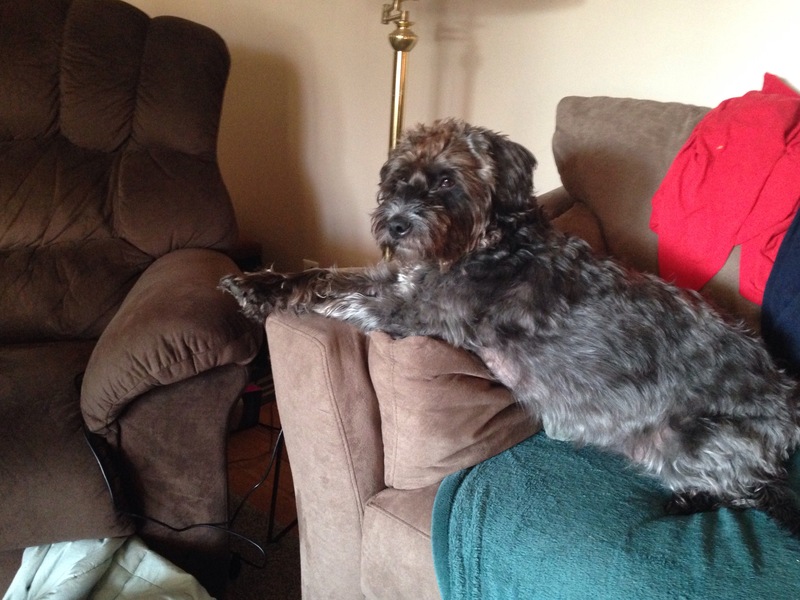 At first, Oreo would bark and had trouble relaxing, even though they weren’t close. However, over time and with good treats and toys she lazily ignores them. My message is that we are still here. Not just me, but everyone who has or have had a reactive dog. Although we might not post as often, we know what you are going through if you have a reactive dog. Last weekend I missed my cousins wedding. It was 5 hours away but i still would’ve enjoyed it. The reason I didn’t go was because Oreo can only trust my sister and parents. I only trust them with her too. Family told me to get a friend of neighbor to let her out and feed her. To a reactive dog parent it just isn’t that simple. Just training her to be okay with them may take weeks. Could I have paid a dog sitter? Yes, however, she/he would’ve had to come weeks ahead of time for visits and would be paid each time. Having a reactive dog isn’t always about missing out on things. Yes, we have to carry around treats, toys, and turn around and go all the way around the block when you were 20 feet from home because of a dog coming your way. We also get a lot. We get a deeper emotional attachment, an understanding that we are family and have to protect our dogs from things that scare them into reacting. We work hard and build a bond with our dogs and learn more than we ever wanted to possibly know about training and dog psychology. My advice is this: if you are desperately trying to find a way to help your dog and you’re in the panic stage-stop and breath. Read some blogs and training books, but know that not all of them are true or helpful. Find a positive trainer. It might be expensive but it’s totally worth it. Read “Scaredy Dog” by Ali Brown. It started Oreo on her rehabilitation and I was lucky enough to have the author as a trainer. Don’t give up on your pup and find a group of people to chat with- there are reactive dog groups everywhere. Trust your gut-if a trainer or someone tells you to do something with your dog and you think it’s wrong-don’t do it. I once had a friend try to convince me to use a shock collar. I didn’t. Find a positive trainer and remembe, we are still here. This little dog clearly thinks she is a big dog. We walked about half a mile with that large branch dragging. 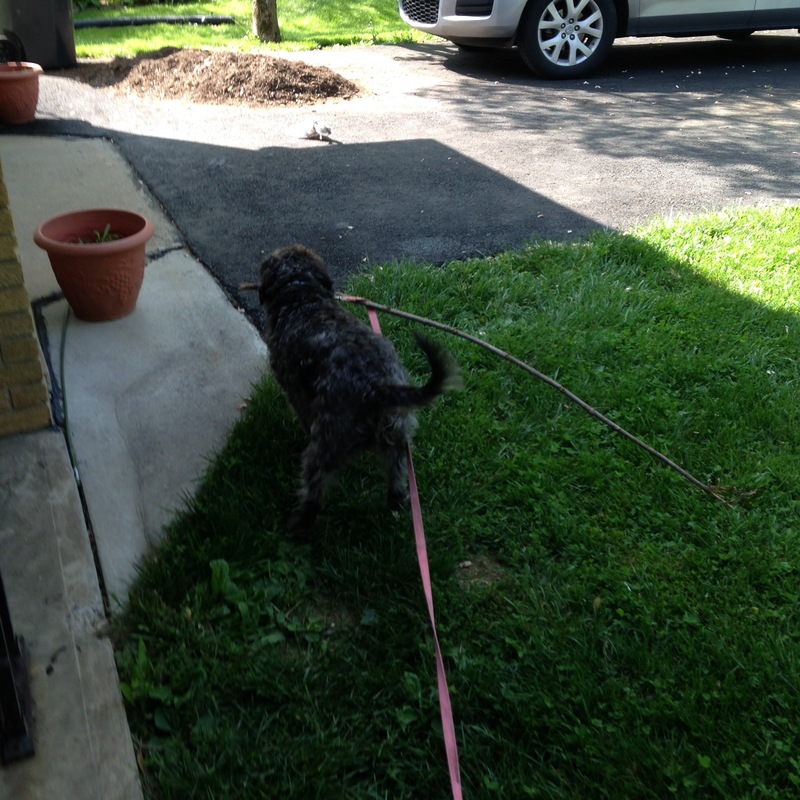 Although it’s not the largest stick she’s picked up on a walk, I have to give her credit for dragging/carrying it for so long. She’s always been an anxious dog since we first got her. Anxious, yet speaks her mind-very often. She was not about to let go of that stick. She’s quite the grumbly dog who growls or makes noises if you pet her while she’s napping (hey-I might too) and makes these weird grumbling noises when she wants attention. She does it with her mouth closed too-she’s a dog ventriloquist. Another favorite of hers is a large sigh when she doesn’t get what she wants, promptly followed by the sad face with the head down on the paws. Yawning-I have never heard another human or animal yawn so loud that it would wake the dead. I’ve only had one other dog in my life but is that normal? No, nothing about Oreo is normal. When my sister or husband passed us on a walk (and they are in a car) you would swear my dog is screaming bloody murder. The doors on the block literally open to make sure no one is dying and my dog is ok. It’s fair to say if I see my husband walking the dog and I’m driving I will either turn around and go down another street or pick them up. She may be a smaller dog but she definitely speaks up. Hopefully she doesn’t speak up too much when we visit the vet next week. 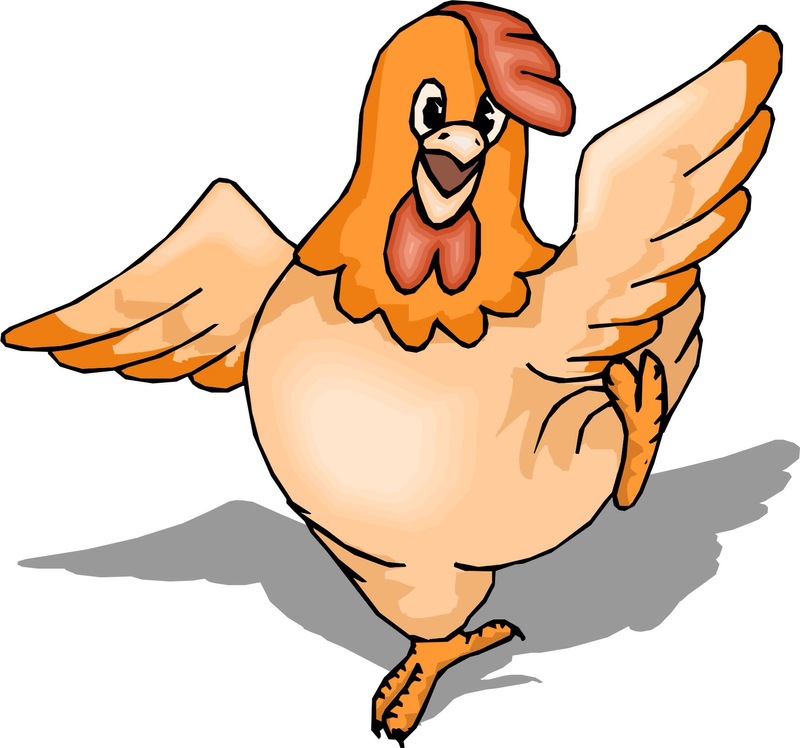 There is a chicken thief in our midst…and her name is Oreo! My husband bought a chicken sandwich and fries from Checkers and sat down to have his delicious lunch. However, the world had other plans for that sandwich. He got up to take a phone call, leaving the sandwich and fries on a tv table (easy access for the chicken thief). When Matt arrived back to his seat after the call-the chicken sandwich and fries were missing! The chicken thief was caught red handed with a wrapper hanging out of her mouth. Boy, my husband learned his lesson. Dogs easily become thieves when chicken sandwiches and fries are involved. 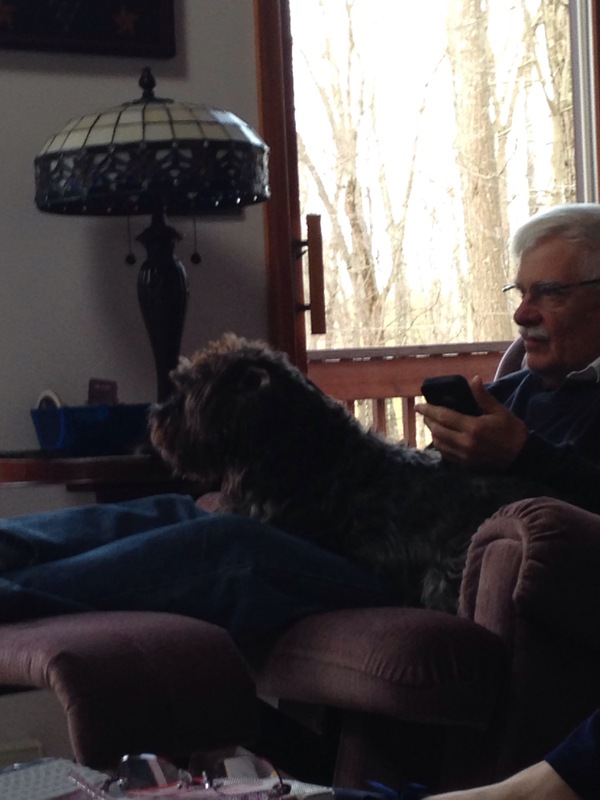 This picture would’ve seemed impossible years ago, but now Oreo trusts my dad so much she jumped up on his lap to lounge. Some dogs trust a select few people in their short lives. Oreo is one of them. 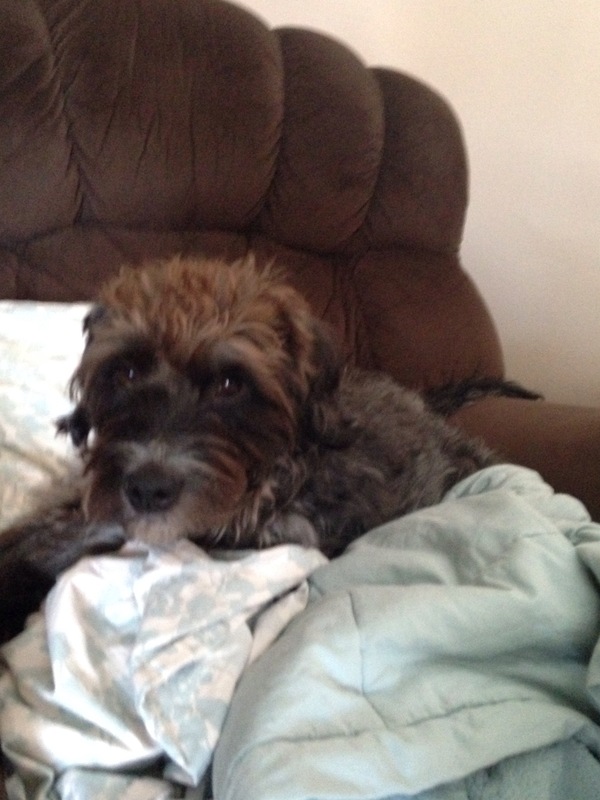 Oreo’s fear and anxiety is caused from being taken away from her mother and siblings too early. Pups should stay with their mother for 12 weeks. During this time puppies learn many important lessons and if taken away earlier can lack social skills and are more prone to be nervous and fearful. Building trust with reactive dogs can be long and hard but their trust is an amazing gift. In the next post I will talk about ways to work with a reactive dog to earn their trust. There’s Nothing to Worry About: Dad’s Back! Her dad was gone all week for a conference down in Florida so she spent much of her time in the evening watching the door and looking out the window. Her father arrived home last night and now her life is complete: a pillow, blanket, and her dad. Lazy day.